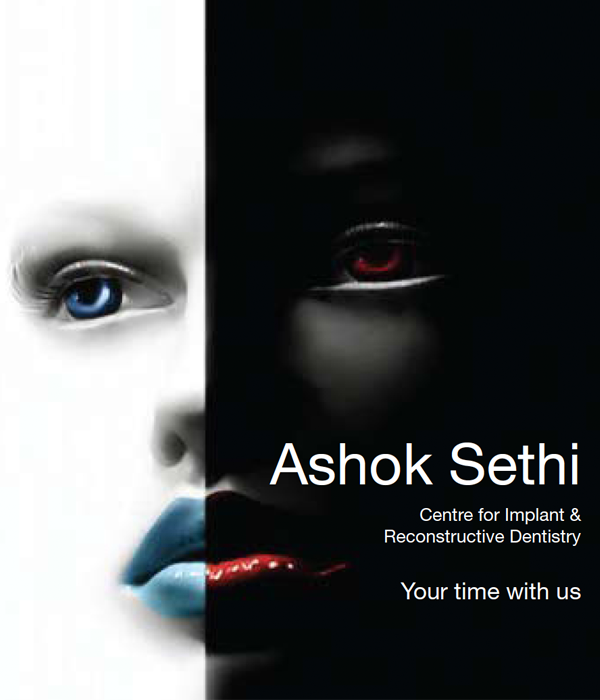 The only work that is performed at the practice is that related to implant dentistry and the restoration of the mouth. This work needs to be carried out in a healthy mouth. Should you need any additional treatment with respect to your own teeth we shall refer you back to your own dentist to have this completed. Most of our patients are referred to us and generally require no other treatment. Your dentist will be sent a copy of the report (with your permission), so that he or she is kept up to date on the status of your mouth. 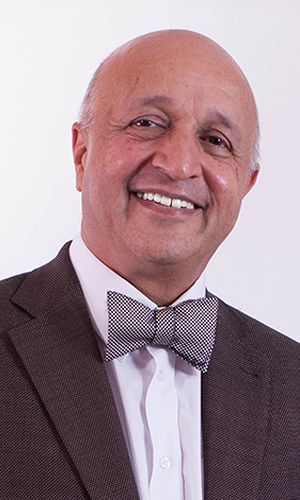 If your dentist is appropriately trained and wishes to take on the responsibility or the restorative aspect of work (construction of the teeth), we will work together as a team and you will be referred back for this phase of the treatment. It is sometimes possible to remove a tooth which is failing and to insert an implant at the same time, enabling it to function with a temporary tooth. There are various conditions which must be satisfied before this can be done. Most importantly, there must be no active infection, and the bone and gum must be intact. Some cases are a lot more complex and require reconstruction of the bone and other complex surgeries before the implants can be fitted successfully. This ranges from small pieces of bone from the hip to full jaw reconstructions using larger materials produced from CT scans of the patient. Sometimes the patient will require multiple teeth that can be fixed from a single implant if there is enough supporting bone. Alternatively some patients require a full lower and upper denture secured and permanently fixed with implants. Download our treatment information brochure for 33 Harley Street. Let it guide you through your journey with Ashok and the team. 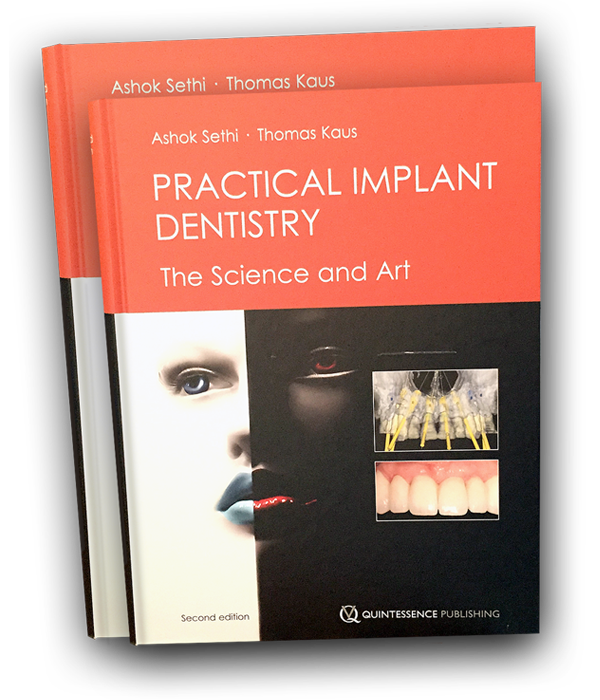 Ashok Sethi is co-author of the world leading publication practical implant dentistry. This book has been translated in over ten languages and is now in it second edition. Copyright© A Sethi Limited. All rights reserved.